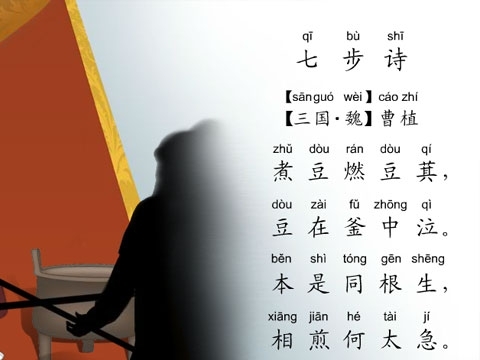 Chinese poetry can be divided into three main periods: the early period, the classical period from the Han Dynasty to the fall of the Qing Dynasty, and the modern period of Westernized free verse. 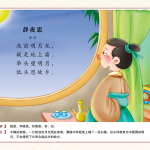 In Chinese literature, the Tang period (618-907) is considered the golden age of Chinese poetry. 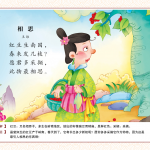 For centuries, Chinese students have used the poems to learn to read and write, as well as in cultivating good character. 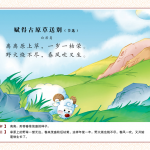 For simple Chinese nursery rhymes with audio and annotated characters click here. Below are some poems recited by Annabelle when she was between 5 and 6 years old. 離離原上草，一歲一枯榮。 Lí lí yuán shànɡ cǎo, yí suì yì kū rónɡ. 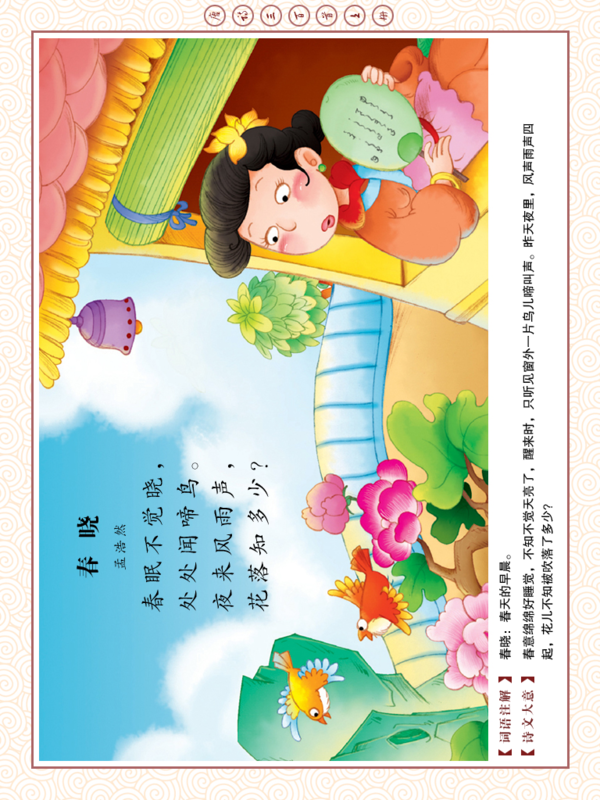 野火燒不盡，春風吹又生 Yéhuǒ shāo bú jìn, chūnfēnɡ chuī yòu shēnɡ. Each year, it dies, then flourishes again. When spring winds blow they grow again. I wake up with the sun up high. Birds chirp everywhere in the sky. Last night a rainstorm passed by. Flowers must have fallen down – sigh. Moonlight reflects off the front of my bed. Could it be frost on the ground instead? I look up to view the bright moon ahead. Thoughts of hometown bring down my head. In southern lands the red bean tree grows. It sprouts when the vernal breeze blows. Pick the red beans with your hands filled. Your yearning for love will be fulfilled. 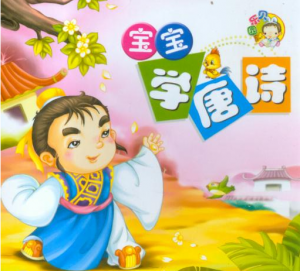 An older brother, Cao Zhi, who was an emperor was jealous of his younger brother’s talents. 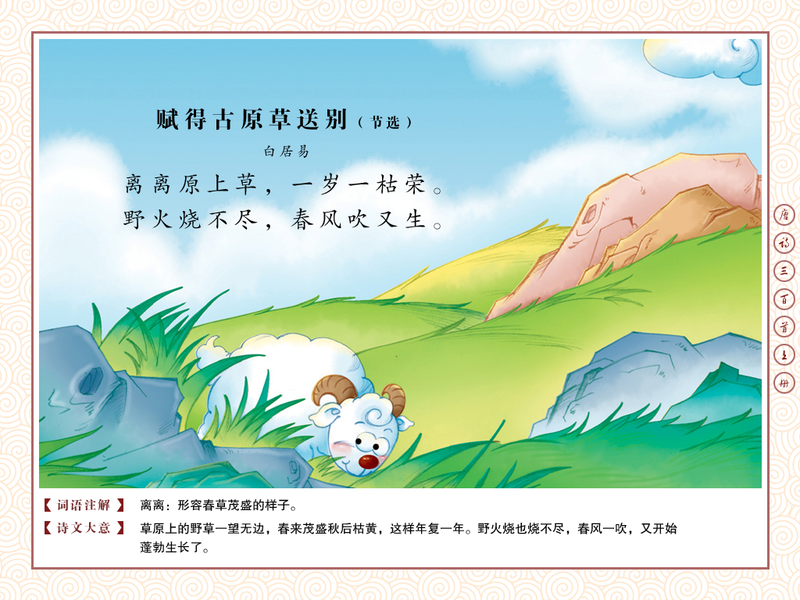 He forced his younger brother to produce a poem in 7 steps or die. 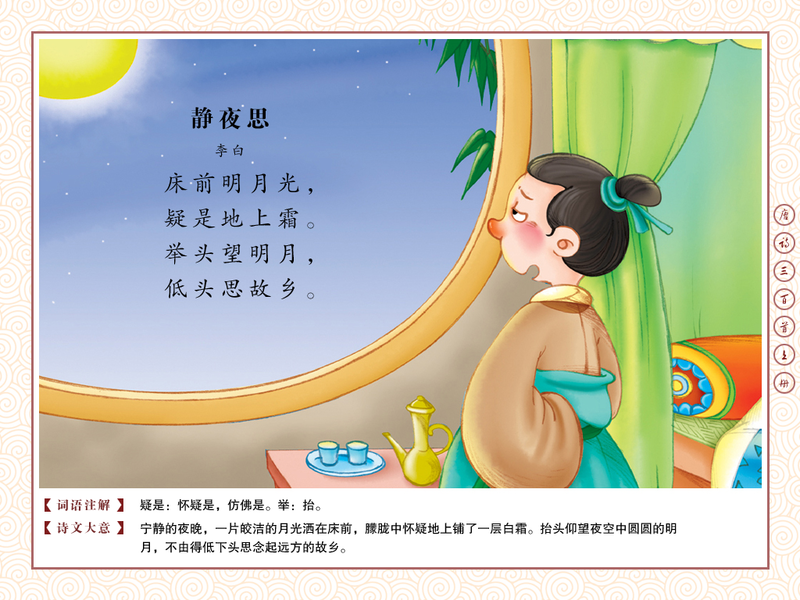 The younger brother, Cao Pi, created this poem in 7 steps. This poem is about how if you don’t study when you are young， then you will have regrets when you are older as you can’t turn back the hands of time. I take it to mean that you only live once, you have to try your best so that you live without any regrets when you are older.